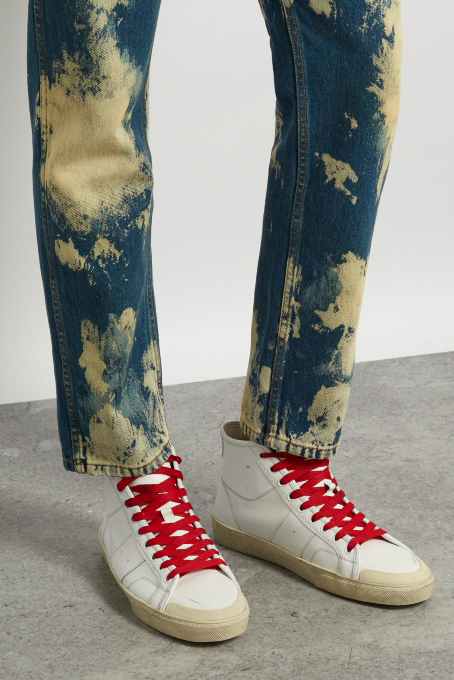 The chunky and arguably ugly sneaker trend is here to stay for another season. Everyone has their opinion on these types of sneakers. They combine a retro 90s look with styles that your dad might wear, all elevated to a trendy luxury level. They are beloved by both street wear stylist and celebrities with the likes of Kendall Jenner and Jaden Smith wearing them. 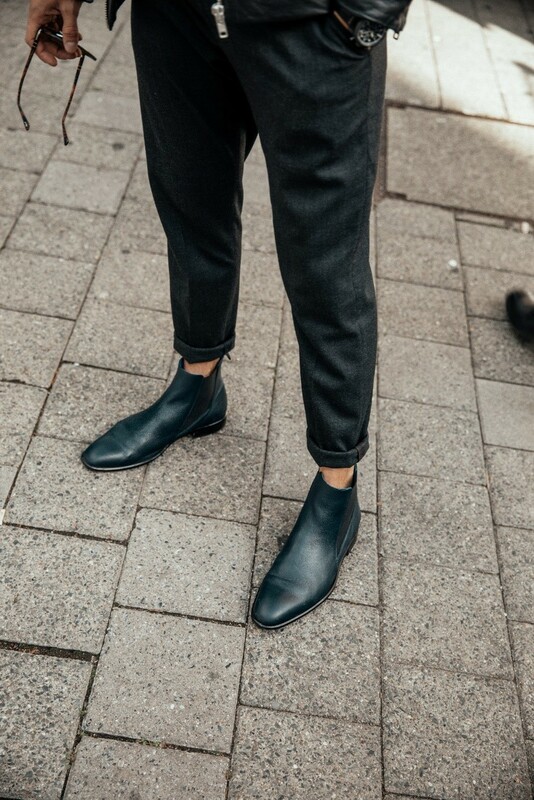 These types of shoes seem to follow the general trend of more oversized/relaxed fit clothes that draw inspiration from 90s styles. The colors and styles of the nineties are making a big comeback in the past few seasons of fashion trends. 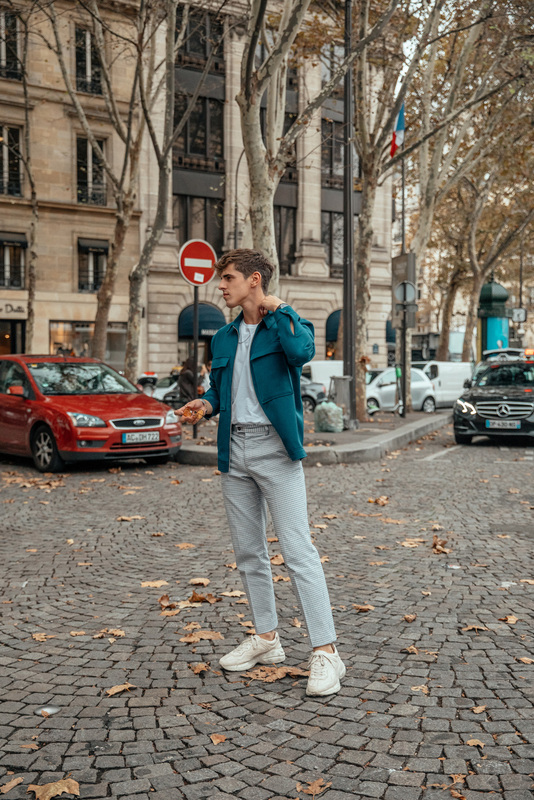 To really style them well, draw your inspiration from these baggier ninety’s styles, with the right coordination in your outfit you can really pull them off and make a statement. The wave of these sneakers arguably started with Balenciaga’s Triple S sneaker released in 2017. 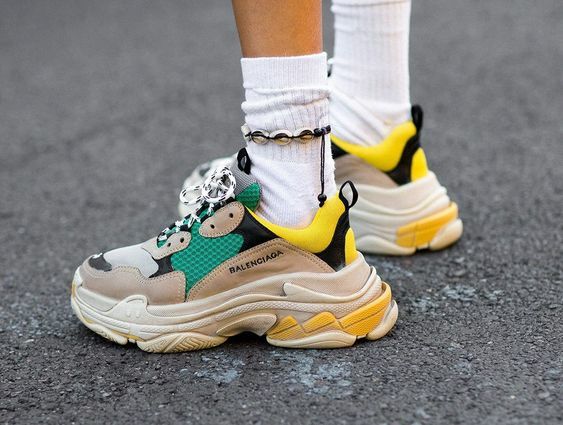 These shoes seemed to bring all elements of the chunky sneaker concept into one shoe, a heavy colorful and bulky shoe, if you are looking to get in with the chunky sneaker trend then you can’t go wrong with the Balenciaga’s. Many of the major designers like Gucci, Prada, Louis Vuitton played catch up by releasing their take on the chunky sneaker trend in early 2018. For 2018 they have been updated with more colors that range from more muted white and grey to the classic retro splashes of color you expect. Gucci’s take on the trend is more understated than the Balenciaga’s and plays homage to vintage Gucci styles. 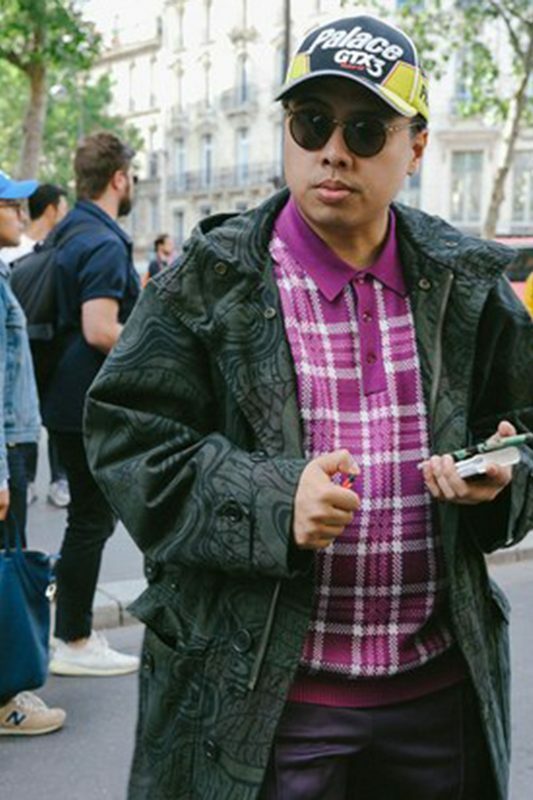 With a chunky look reminiscent of your dad’s Rebook sneakers and Gucci logo inspired by prints from the 1980’s it makes the perfect entry into the trend without being too over the top. You still get the retro style with a luxury touch without going full chunky. A futuristic take by Prada are the Cloudbust Sneakers they are a fascinating combination of a futuristic looking style with an almost juvenile like strapping closure. First introduced in spring 2018, they come in a variety of colors, my favorite being these black and blue. 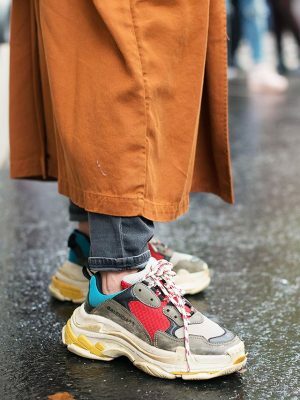 Mid-range sneaker company’s like Nike and Adidas are getting into the chunky sneaker trendy so you won’t have to shell out €695 for a pair of Balenciaga Triple S. Some of these styles draw inspiration from previously released sneakers. 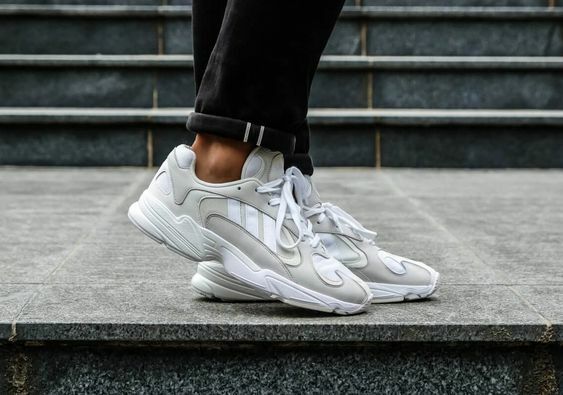 My favorite being the YUNG-1 sneaker, a rough 90s inspired running shoes. It comes in a variety of colors, go for the orange and black if you are looking for a truly unique shoe. The 90s inspired styles continue to be big for the fall, so it is a good time to experiment. A shoe is a really easy way to get involved with this trend and make a big splash in your wardrobe and your everyday outfits.